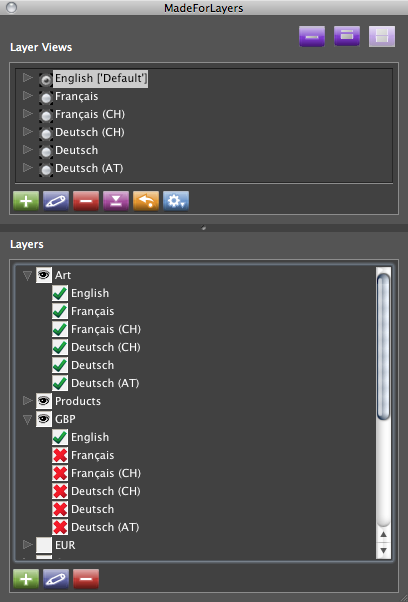 An operator window in MadeForLayers shows all of the layer views that have been created in the document currently opened. 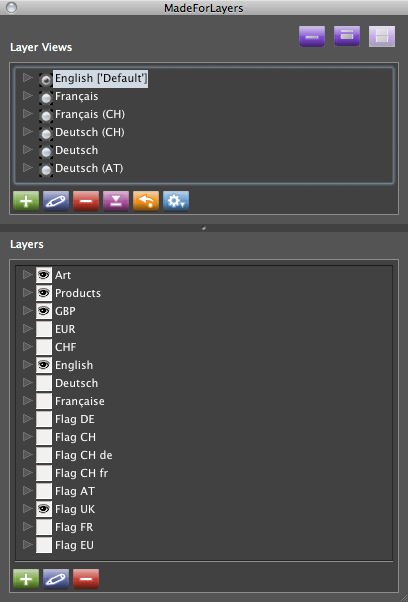 Existing layer views can be applied or edited. New layers can be added as well. 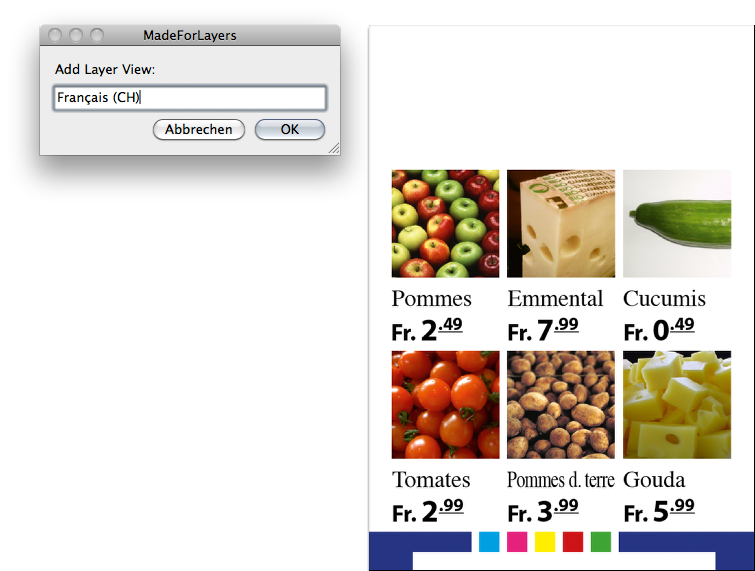 Users can open the layer management interface by selecting the menu item . Custom keyboard shortcuts can be defined to open MadeForLayers. In the Other product area, you will see the item MadeForLayers. 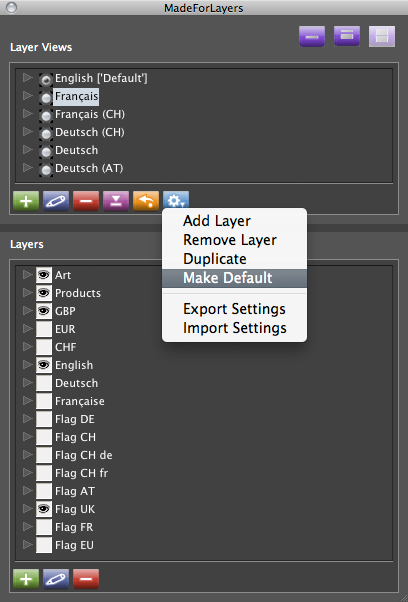 If you would like to make a certain layer the default view, use the "Make Default" function. 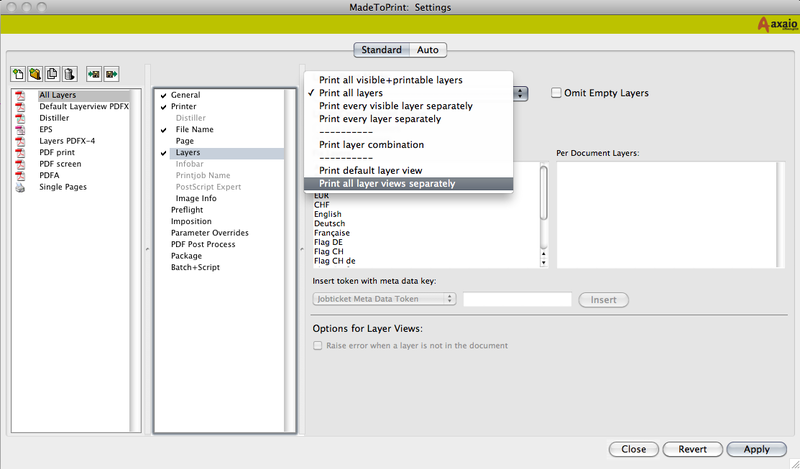 This way you can define a default view for multiple layer views – for example, for the print shop. 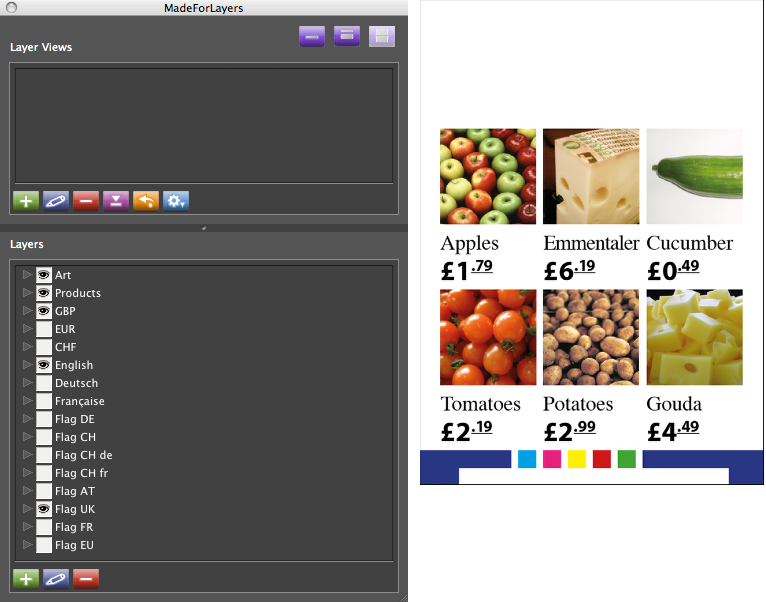 MadeForLayers allows you to associate metadata directly with a certain layer. The user clicks on the desired layer and clicks the Edit button to open the Edit Layer window. 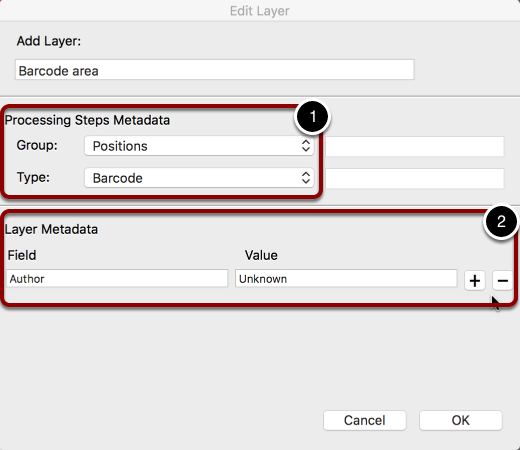 Here you can complete the Layer Metadata fields. 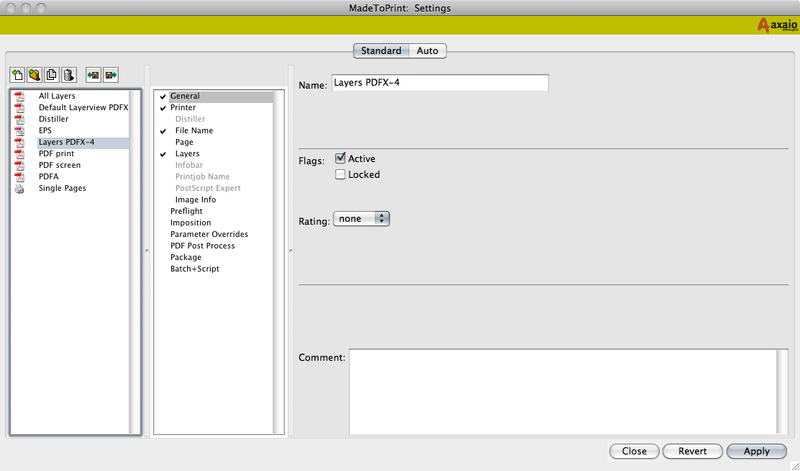 MadeForLayers supports processing steps metadata (1) and layer metadata (2). Processing Steps is useful if you want to pass layer-specific production instructions (e.g. cut, glue, …) to the PDF. 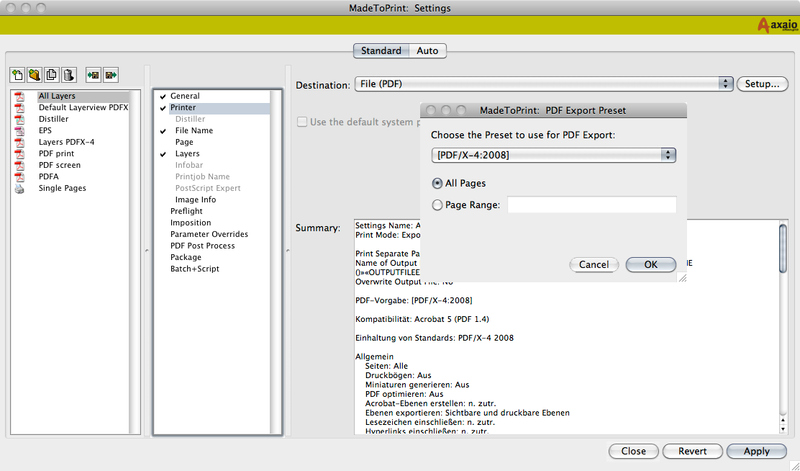 When using MadeToPrint to export the document to a PDF file, these metadata are applied to the respective layer in the PDF document. Once a layer does have processing steps metadata, it will be displayed after the layer name in the MadeForLayers dialog. This helps to quickly check the intend of the used layers. 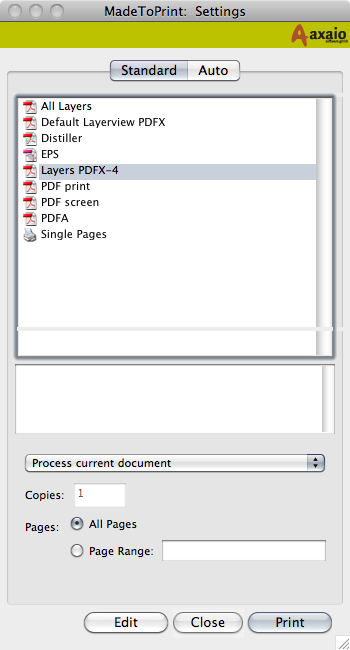 The integrated pdfToolbox feature from callas software allows metadata layers of the PDF to be displayed.